Good dog door manners should be a top priority in your arsenal of dog training, but how do you teach that? Keep reading for some ideas on how! Recently I had the opportunity to sample some vitamins for dogs (for Trigger and Izzy, of course) from PrimoPup.com and I figured that I would share my experience with you! The following post is sponsored by PrimoPup.com! 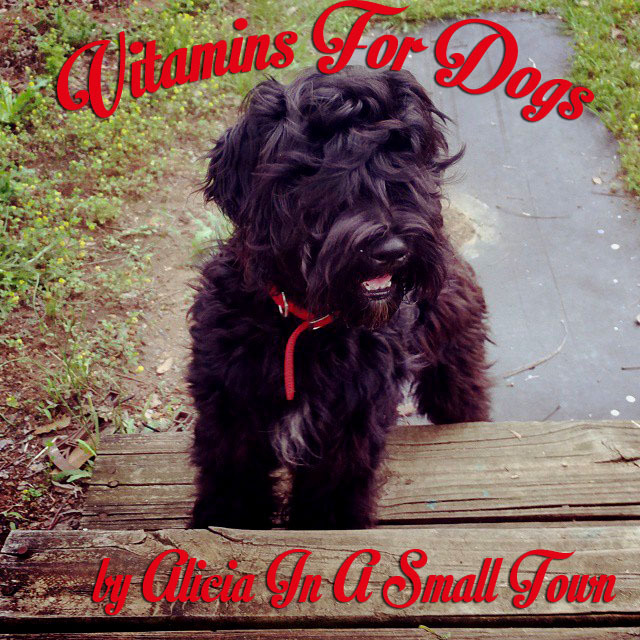 Are you considering vitamins for your dog? The first thing that you want to do when adding any supplement into your dog’s diet is to consult with your dog’s veterinarian. Because Izzy is grown, and doesn’t always eat the healthiest (we’ve tried multiple different diets) in the world, we decided to add a multivitamin into her diet. Specifically, this one. I’ll be honest with you, she doesn’t necessarily LIKE taking it, but she’s getting better at it. She does better with it when she knows that she’s getting a treat after she takes it. If you decide to try vitamins for dogs, I really do suggest these (honest opinion). Primo Pup makes it easy to figure out how many vitamins to give your dog each day with a chart that’s located conveniently on the back of the bottle. For a dog like Izzy (who is a chunky 25 pounds), it’s two a day. When Trigger goes to the adult formula he’ll be on 4 a day (he’s already close to 60 pounds at 5 months old!). Now, another reason why I recommend Primo Pup is because their products are made in the USA and affordable! They currently have a 25% off sale going on AND you get free shipping with orders over $30 (with the code SPRING2016). We’ll definitely be going back to Primo Pup again for our vitamins and supplements! We’re actually looking into their skin and coat formula for Izzy (she’s quite the itchy baby, and I’m hoping that it will help with that!) at the moment. 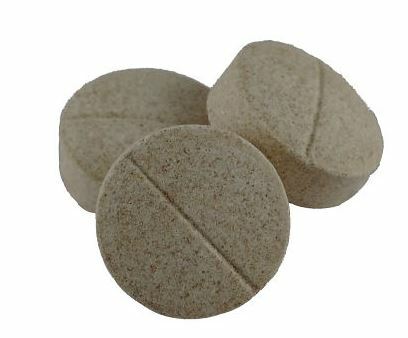 Have you tried supplements or vitamins for your dog? Let me preface this post by saying that I am not an expert. I repeat, I am not an expert (on anything) on dogs. But, after having multiple puppies in my lifetime, and after these last few months with Trigger, I decided to put together a list of tips to help you in surviving the early months with your puppy. Tips for surviving the early months with your puppy and how we survived the early months with Trigger! As you know, I am always on the hunt for healthy treats for Trigger, and this has led to me making some of my own! You and your dog will LOVE these three ingredient dog treats that I made for Trigger, they are super easy to make, and he absolutely loved them! Using a food processor or blender, grind your oats until they’re powder. In a bowl, beat together the banana and peanut butter until smooth. A few small chunks of banana here and there is ok. The dough should stick together, but shouldn’t be sticky. Reserve about a tablespoon of ground oatmeal and pour the rest into the banana peanut butter mixture and mix until combined. Dust your surface with the reserved ground oatmeal and roll your dough to about a 1/4 inch thickness. Cut into desired shapes and place on a parchment paper lined cookie sheet. Bake treats for approximately 15 minutes, or until the edges start to brown. You can add additional peanut butter if the dough is too dry or additional oats if too sticky. Did you try three ingredient dog treats? If you tried making these treats, please leave a comment below and let me know what you thought! I can’t wait to hear all about it! This week for our Dog Days post, we are talking all about leash training a puppy! To me, it is very important to start this as early as possible, as leash training is a foundation to all of your other training. The one thing about training dogs is that there are no hard and fast rules. Some dogs take to a collar and leash easily and some do not. Some owners have to put their dogs on a leash the moment they get them—especially if they live in apartments and there are leash laws—and some may not put their dog on a leash for a few months.